Today at sundown is the start of the Jewish new year. This year, I will leave my comfort zone. Why this resolution, and only this resolution? Because leaving my comfort zone is a “trickle down” resolution. Leaving my comfort zone means taking risks. It means reaching out when I want to hide. It means changing the way I talk to myself. It means changing my routines. It means going out of my way to see a friend, saying yes to a date, making the first phone call (or facebook post or text) for a cup of coffee. It means making some choices about my career, taking classes, expanding my skill set. It means “getting back in shape” without hurting my body. It means saying no when I have to and want to. It means making an effort to be positive. It means becoming a resource for others. It means not being afraid to succeed–and doing the work to get there. It means that this year, I will name my mistakes–and do everything in my power to use what I’ve learned to grow past them. It means that this year, I will have to commit. I will have to focus. 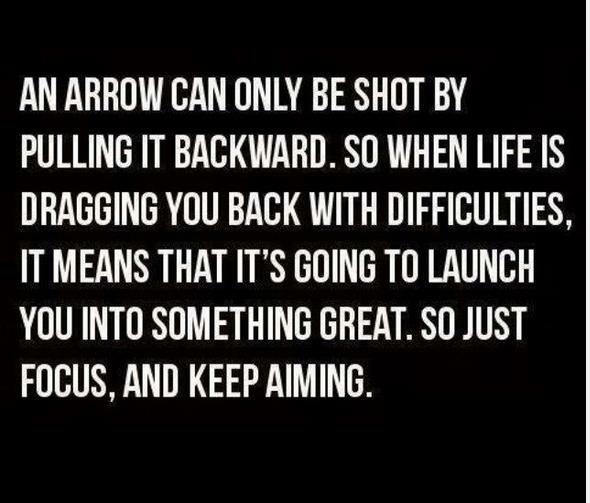 I will have to pick a target and an arrow and start aiming. Okay, Comfort Zone, it’s been nice knowing you, but it’s time for me to leave.